Superparamagnetic iron oxide MR imaging contrast agents have been the subjects of extensive research over the past decade. The iron oxide particle size of these contrast agents varies widely, and influences their physicochemical and pharmacokinetic properties, and thus clinical application. Superparamagnetic agents enhance both T1 and T2/T2* relaxation. In most situations it is their significant capacity to reduce the T2/T2* relaxation time to be utilized. The T1 relaxivity can be improved (and the T2/T2* effect can be reduced) using small particles and T1-weighted imaging sequences. Large iron oxide particles are used for bowel contrast [AMI-121 (i.e. Lumirem and Gastromark) and OMP (i.e. 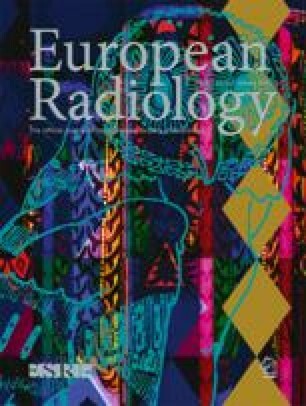 Abdoscan), mean diameter no less than 300 nm] and liver/spleen imaging [AMI-25 (i.e. Endorem and Feridex IV, diameter 80–150 nm); SHU 555A (i.e. Resovist, mean diameter 60 nm)]. Smaller iron oxide particles are selected for lymph node imaging [AMI-227 (i.e. Sinerem and Combidex, diameter 20–40 nm)], bone marrow imaging (AMI-227), perfusion imaging [NC100150 (i.e. Clariscan, mean diameter 20 nm)] and MR angiography (NC100150). Even smaller monocrystalline iron oxide nanoparticles are under research for receptor-directed MR imaging and magnetically labeled cell probe MR imaging. Iron oxide particles for bowel contrast are coated with insoluble material, and all iron oxide particles for intravenous injection are biodegradable. Superparamagnetic agents open up an important field for research in MR imaging.